A Guide to Vietnam Prices: How much does a Holiday Cost? Discover the lowdown of Vietnam prices, covering accommodation, food, activities, and a whole heap more. Is it as cheap as they say it is? Well, yes. If you're lucky enough to be born into privilege (pretty much everyone in the developed world), then, yes - Vietnam is cheap and your currency can go a loooong way. If you're smart about it. I mean, reckless people (me, for the most part) can still travel to South East Asia and somehow blow their entire savings account. Look, I'm a sucker for food and foot massages, okay? Have enough of those in a day and you'll find your wallet growing thinner by the hour. 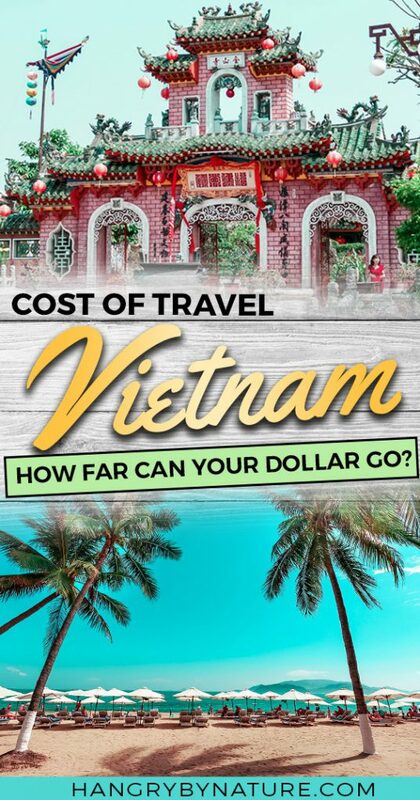 That being said, Vietnam is still one of the cheapest places to holiday in South East Asia and you can enjoy more luxuries (and meals) without going broke as a joke, so sit back, chillax, and allow me to run through all the prices in Vietnam to help you budget for your trip. 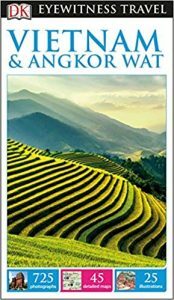 Looking for more travel cost guides in Asia? A Complete Guide to Bali Prices: How Cheap is it? How Expensive is Japan? A Guide to Costs for Families. Cost of Living in Chiang Mai: How Cheap is Thailand? The North is best between November and April when it's cooler and dryer. 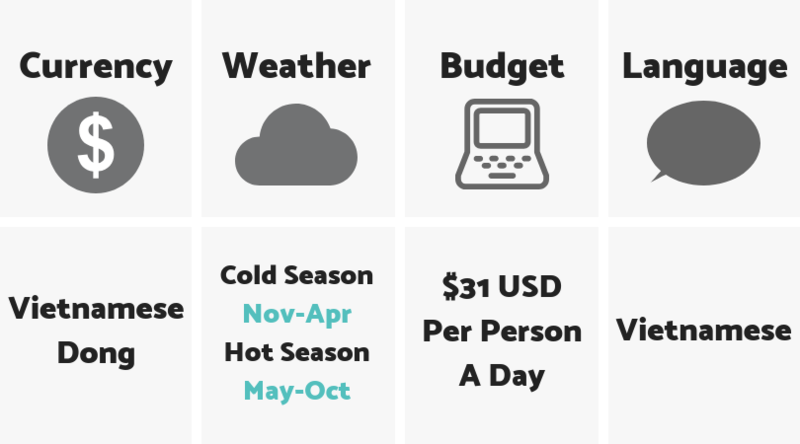 May to October is the cheapest time to visit, but the trade-off is rain and humidity. Lots of it. Central Vietnam is ideal from December to January when the weather is temperate. February to August grows increasingly (and unbearably) hot, while rain season occurs between September and November. South Vietnam is hot and dry from November to April, with rain season arriving from May to October. Apart from trying to cross the road in any major city - yes, it's safe enough. The biggest danger in Vietnam is probably road accidents involving motorbikes, so if you're thinking about renting a scooter - I would probably think twice. Using common sense is vital, pickpockets are prevalent in bigger cities, like Ho Chi Minh City and Hanoi. My cousin had his phone stolen from his front jean pocket. I mean, these guys got skillz. Be alert. 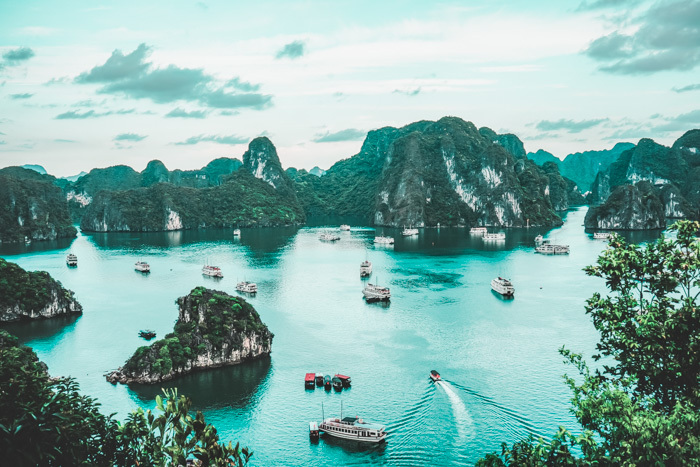 A visa to enter Vietnam is required for most nationalities, although the application fee isn't high, you'll still need to consider in your Vietnam trip cost. Check with your local consulate as some nations within the EU are able to enter visa-free as long as they meet the maximum length of stay requirements. We applied for ours via a reliable online service and received our invitation letter within 3 days. We forked out $43 for a single entry visa. How does it work? After the application is submitted, the online visa agency issues an approval letter which you'll need to bring and present to customs at your destination. After which, you'll be issued with an official visa. I know living life on the edge is exhilarating and all, but don't be that person (or family) who goes on holiday without travel insurance. I worked at a travel agency for 2 years and have heard enough horror stories to direct a sequel to the Final Destination movie franchise. We use and recommend World Nomads, because, quite frankly - they have one of the most competitive rates in the industry. They've covered my derriére on numerous occasions from stolen iPhones to damaged suitcases. You can get a quote here for your next trip - you won't be disappointed! Not gonna lie - I thought I had an Asian stomach of steel until my first trip to Vietnam and that belief was laid to rest. Forever. 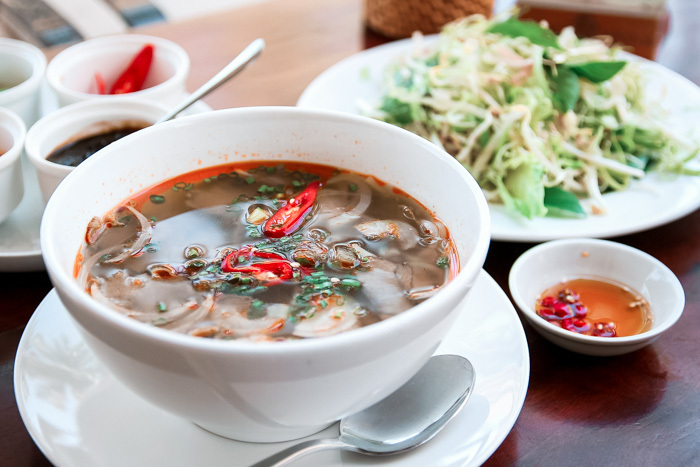 As incredible as Vietnamese cuisine is, you also should be made aware that you might get very well acquainted with the toilet bowl in your hotel after devouring some amazing street food. Oh, and water. You probably don't even want to brush your teeth with it. Buy bottled. Always. It's always best to hit up well-rated restaurants and ensure that meat is always cooked through - especially in Pho and other noodle dishes. If you're planning to visit the northern parts or Vietnam or considering a trip to Sapa or Dalat, I would recommend packing warm layers or even a light jacket, as it can get chilly in the mountains and in the evenings. Take a look at this comprehensive South East Asia Packing List to help you get organised. 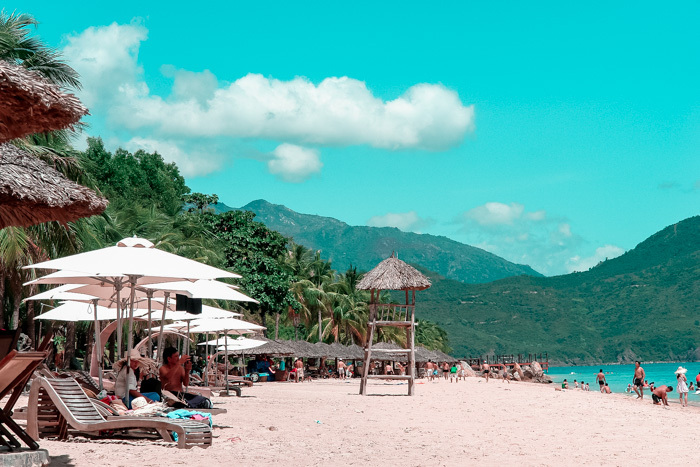 Nha Trang is a bustling beachside city where you'll find luxurious resorts, a variety of international cuisines to suit all tastes, and the Disneyland of Vietnam - Vinpearl Land. This is the best theme park in the country and an absolute hit with little ones. 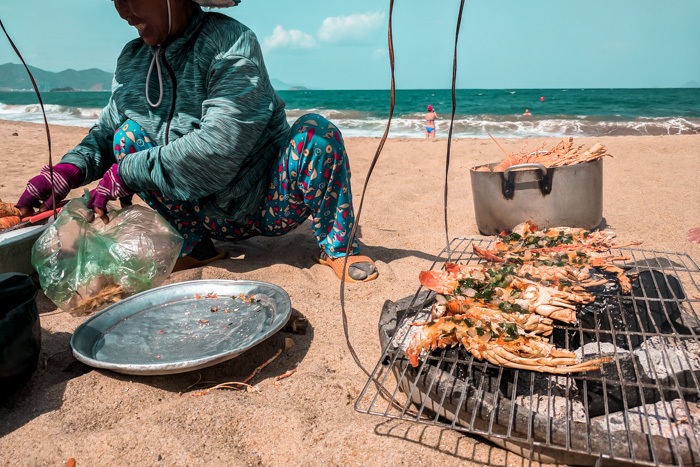 Phu Quoc is a fast-developing remote island at the southern tip of the country where you'll find 5-star resorts, untouched beaches, and one of the most stunning sunsets in the world. It's the perfect place to relax and unwind. Da Nang is another up-and-coming beachside city dotted with beautiful resorts and tons of activities for the whole family. 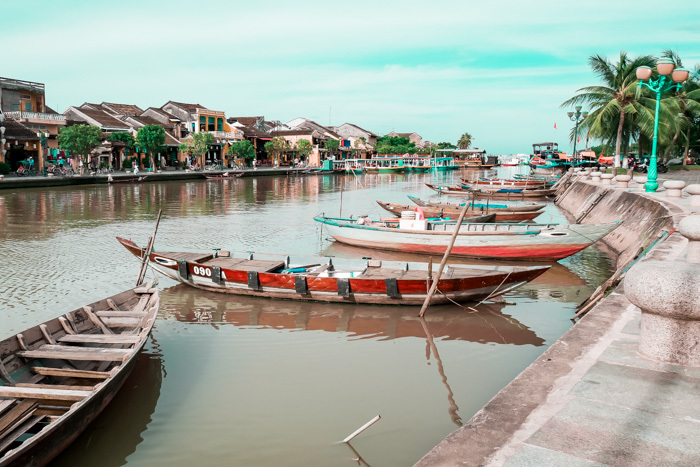 Chill by the beach, pop into a theme park, take a day trip to the breathtaking Old Town in Hoi An, or weave through caves inside Marble Mountain - there's so much to do in this incredible region. 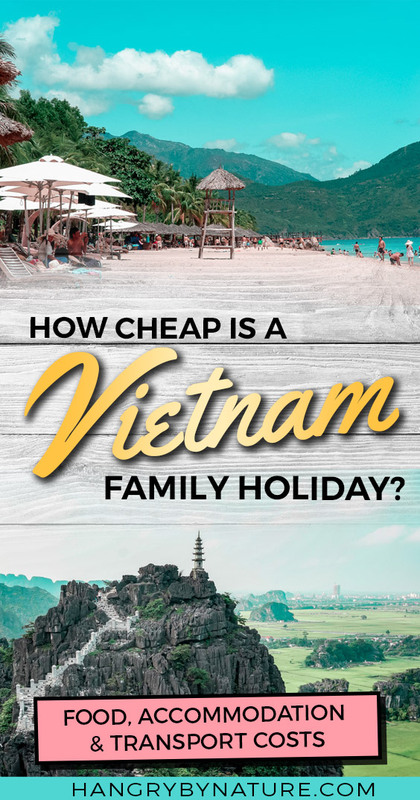 We tried to budget Vietnam as much as we could, splurging very little on shopping and more on experiences the whole family would enjoy. Keep in mind, our Vietnam expenses are based on a family of 4 over a 16-day travel period outside of peak season. Okay, I lied. 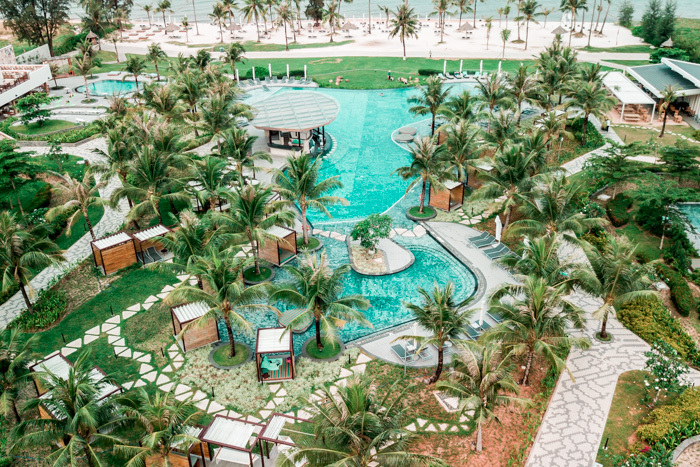 We did cash out a bit on a lux resort in Phu Quoc where we literally spent 7 days immersed in the ginormous pool and emerged wrinklier than pickled walnuts. But, that was literally our biggest expense (other than the plane tickets). Vietnam prices for food are extremely affordable, so naturally, we never stopped eating and this came in as our third biggest expense. Plus, bearing in mind that I'm trapped in a life with 3 perpetually hungry boys (man-child included), so as a family - we ingest a lot. But, you'll find yourself throwing money left, right and centre at all the food you want to eat because it's freakin' amazing. If you don't, then there is definitely something wrong with you. 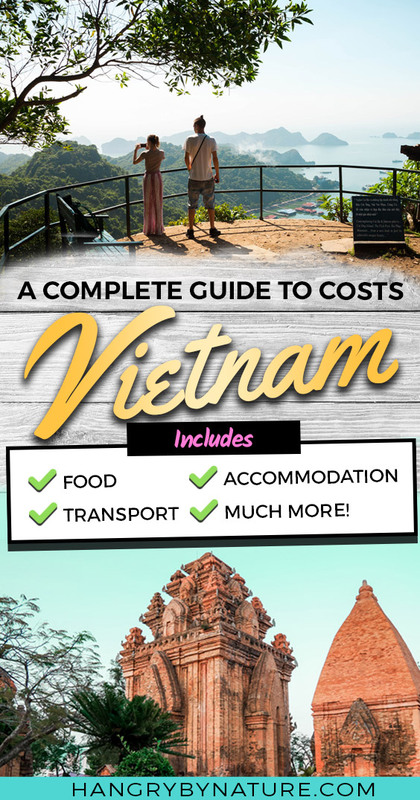 All in all, it's completely possible to do Vietnam on a budget for 2 weeks and live on the cheap, or you can splurge a little here and there and you'll still find it significantly cheaper than holidaying in most western countries, which is what makes this country so appealing. RELATED: How Cheap is Bali? All the Travel Costs Revealed. Vietnam Airlines offer direct flights to Vietnam from various cities in Europe, Asia and Australia. If you're flying in from North America, sorry folks, there's no direct route and you'll most likely face one or multiple stops before reaching your destination. For us lucky bunch of Aussies - we've got a bag of airlines to choose from. Jetstar, Qantas and Vietnam Airlines offer direct flights from all major cities in Australia. HOT TIP: Use Skyscanner's 'monthly' search option to find the cheapest dates to travel. Try Momondo to find the best deals on domestic flights. We're subscribed to Secret Flying and Fly4Free, two great resources for spotting airfare and accommodation mistake and sale fares from all around the world. A total win when you get a notification for a ridiculously cheap flight departing from your home city. Attending travel expos in your local area are also a great way of snagging cheap early bird airfares. But, most of all, travelling in low season makes a huge difference to ticket prices. If you're flexible, try searching for flights around February/March, May, and October/November. Our 2-week stint in the country allowed us to experience almost all forms of accommodation - cosy Airbnbs, budget hotels and luxurious resorts. Here's a breakdown of how much we spent on each place. Depending on your budget, you'll find accommodation prices in Vietnam, well, very accommodating. 5-star resorts are typically much cheaper than those you find in western countries, I mean, just take a look at this stunner we stayed at in Phu Quoc for $93 a night. Mind you, this included an epic buffet breakfast on the daily and use of all the resort's facilities. Like, dayum. Check out that pool doe. Browse some of the best resorts in Vietnam. Apartments are of great value if you're travelling with friends or another family. We booked a modern and clean 2-bedroom apartment close to the centre of Ho Chi Minh City and split the cost with a friend, making it super affordable at $52 per night. It even had a gym and rooftop pool - hotel facilities minus the service. Browse beautiful Airbnbs in Vietnam. If you're travelling as a couple or small family, the best way to budget Vietnam is to stay in 3-star hotels. Most of them are very clean, serviced, central, and even come with a decent buffet breakfast. Find the best flight & accommodation deals. 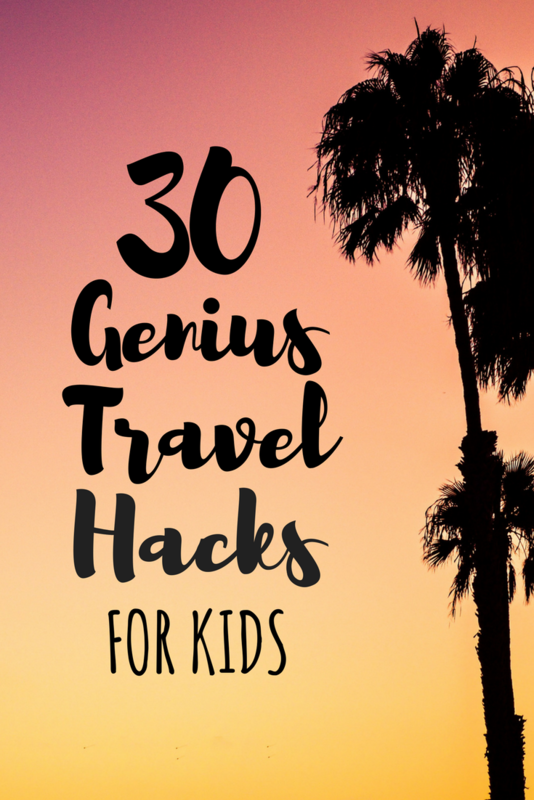 Take a look at our Travel Resources. Here's the thing - you can dramatically reduce your Vietnam cost of travel by eating cheap meals at markets (eg. Benh Tanh in Ho Chi Minh) or local eateries where food is cheap and unbelievably tasty. But, you can also blow your family budget if you consistently opt to eat at western restaurants where the cost of dishes can be considerably more expensive. How much does it cost to eat out? Look, when on vacay in first world countries, it's probably a brilliant idea to cook your own food to save on the doshies, but in South East Asia - it's way cheaper to grab a quick meal at the corner restaurant than it is to buy ingredients at a supermarket. This is where the real deal is at - on the streets sweat drippin' into your Com Binh Dan (street food) seasoning it with extra salt, curled over in tiny toddler-sized chairs and tables devouring your dish and falling into the most incredible foodgasm you've ever had the pleasure to experience. All for $1.50 a pop. Eating at street stalls are the best value for money - you'll literally find these everywhere in populated areas. Down dark and dingy alleyways, on busy streets or in the frontyard of you cab driver's mum's house. Prices for a single dish usually range between $1-3, easily feeding a family of 4 for under $15. Here's a Vietnam food bucket list guide to all the dishes you must try. You can thank me later. You don't need to sacrifice comfort and air con for a cheap meal. Mouthwatering food can still be found at local restaurants (minus the sweat dripping into your dish) without paying significantly more than street food. Local eateries are also found in most populated areas and they actually have a shopfront, like, inside a building. With air conditioning, or at the very least, a couple fans going. Prices for dishes typically range between $3-5. If you're feeling a wee bit homesick and need some familiar tastes, you'll find McDonald's, KFC, Pizza Hut, Starbucks and many more franchises in most major cities. Look at paying around $5 for a McMeal, while a coffee at Starbucks will cost you around $3-5. Without a doubt, you'll find western food options a-plenty, from Italian to French and other forms of fine dining - they've got 'em all. Just be prepared to pay a premium price for creature food comforts from back home. Expect to pay anywhere between $10-35 per dish at a western restaurant. Dying for some breakfast or brunch? I feel ya. As a typical Melbournian coffee and brunch snob, I couldn't be parted with avocados, eggs and a hearty Eggs Benedict for longer than a few consecutive days. Look at forking out between $5-10 for brunch at a hip café. Here's the thing - Vietnamese don't generally do their grocery run at supermarkets. The prices of things in Vietnam at supermarkets are generally higher compared to shopping at local markets for fresh produce. But, if you're after imported products, fruits and vegetables - prices will, naturally, be higher. We also needed to buy items like diapers and baby food for our 1-year old. Popular brands like Huggies and Pampers can be found at most supermarkets across major cities which will save you from packing a suitcase full to lug over. Below is a table outlining the average Vietnam cost of groceries and baby essentials. Yes, the dreaded transportation prices in Vietnam - not that it's expensive per sé, but you'll probably get ripped off, at least, once. It's a Vietnam rite of passage, nahmean? If, somehow, you manage to avoid taxis altogether, then you're winning at life. Renting a scooter is one of the cheapest and most effective ways of getting around, but I wouldn't recommend doing this with kids in Vietnam. We witnessed a number of horror accidents on the road that almost made us swear off our love for motorbikes forever. Almost. Grab is your best bet if you want to minimise your chances of getting ripped off by cab drivers. The price is pre-determined and you can choose to prepay the fare with your saved credit card details via the app or pay in cash when you arrive. No detours, no dodgy meters - hakuna matata. It means 'no worries'. ? Taxis in Vietnam can be dodgy AF. Not gonna sugarcoat this. I mean, these can drivers get creative as well when it comes to brainstorming different ways to rip their passengers off. Some have levers installed beneath their steering wheels that hike up the digits on the meter, and others, well, aren't even cab drivers at all. They roll around in fake cabs. 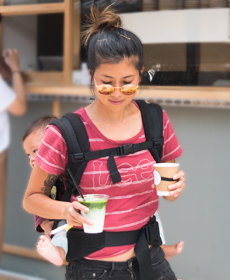 Stick to two of the more reputable companies - Mai Linh or Vinasun. PRO TIP: When jumping in a cab - insist the driver turn on the metre. If not, be prepared to haggle your pants off. Renting a bicycle is a very cheap mode of transport, in fact, many hotels loan them out free of charge, but chances are, you'll turn into a human mobile (sweat) waterfall. Farmers won't even have to pray for rain anymore as you ride through ricefields because you'll be watering their crop with your sweat. Hiring a private driver for a day or longer is the safest and most comfortable way of getting around. Most hotels will have connections and they usually charge a very reasonable rate. But, you know - it's South East Asia. There's always room for a little haggle. Wait. There's other things to do in Vietnam aside from eating your body weight in food? On the real, my main motivator for visiting the country was my unconditional love for Pho and Cafe Sua Da. But, yes. 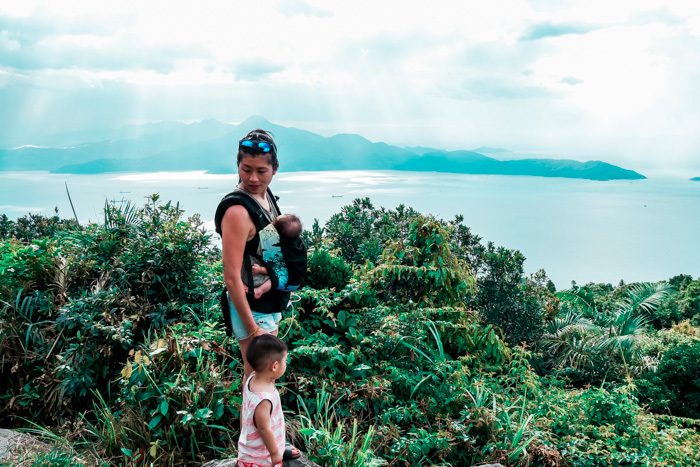 Vietnam is home to a number of adventures and family-friendly activities that are actually reasonably priced when compared to, say, touristy activities in Thailand or Bali. 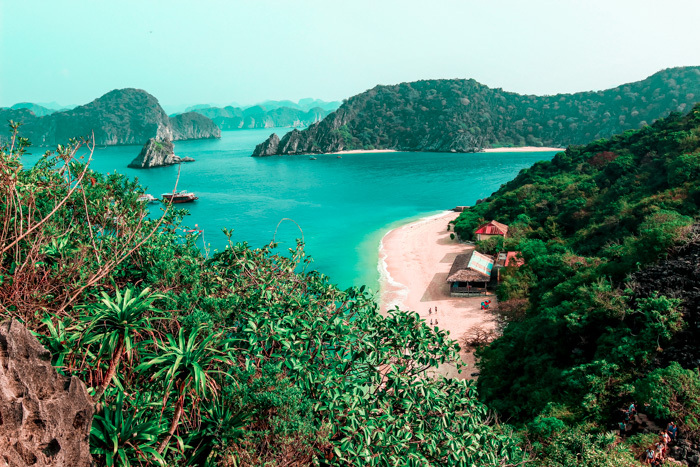 Costly expenses to consider in your Vietnam trip budget are visits to theme parks and tours to popular attractions, such as an overnight cruise around Halong Bay or a day trip to Cu Chi Tunnels in Ho Chi Minh City. Despite being on the pricier side of things, you can't forego these places because, well, it's the reason for going to Vietnam (other than eating all the food). 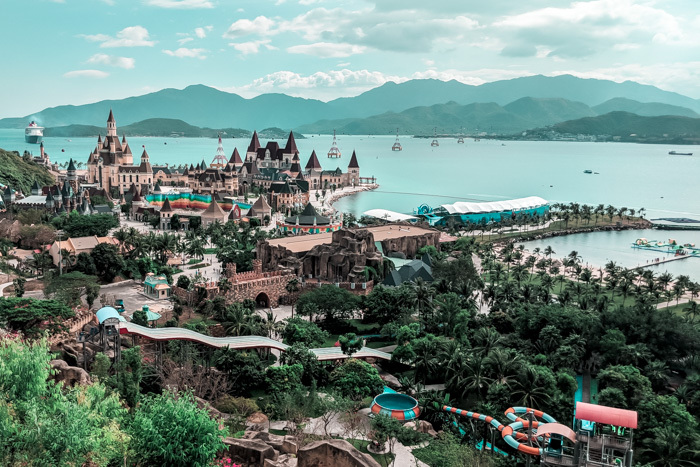 As for theme parks, we purchased all of our tickets on the booking engine Klook, as they had the best deals for Vinpearl Land Phu Quoc, Vinpearl Land Nha Trang and Ba Na Hills in Da Nang where we were able to save up to 20% off single entry fees. Some temples are free to enter whereas others, such as Po Nagar Cham Towers, charge a small entry fee for adults. A few other temples will ask for a donation, although not compulsory. If you've got the time to spare - do as many day trips as you can. 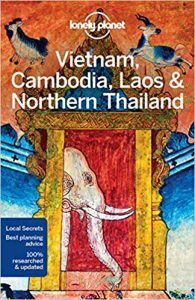 Hiring a driver for a day is very affordable (we were recommended one for $40 by the hotel we stayed at in Phu Quoc), you can ask them to devise an itinerary for you or, simply, plan your own. There's so much to see outside of the cities - lush green ricefields, mystical mountains and breathtaking caves. Trust me when I say you'll return many more times just to explore more of this stunning country. If you're planning to use apps like Grab and Google Maps to find your way around, it's best to get a SIM card. Although WiFi can be found in most hotels, restaurants and cafés - there were also times we found ourselves stranded with no choice but to buy our fourth Vietnamese coffee for the day just so we could use the shop's WiFi to book a Grab back home. The best place to purchase a SIM card is at the airport (Ho Chi Minh City, Da Nang or Hanoi) in the arrivals hall. An unlimited calls and data plan only costs $10 and is valid for an entire month. Pretty crazy deal, huh? Vietnam expenses for medical services like doctor consultations and medicines are, generally, much more affordable compared to other countries in Asia. In most cases, it's not even worth making a claim with your travel insurance if you take your excess cost into consideration. Average prices in Vietnam for doctor visits can vary considerably - a standard consultation can cost anywhere between $15-70, with prescription medicines and blood tests incurring additional costs. An emergency visit to an international hospital can cost $90 upwards. I'd recommend checking Google reviews before you commit to visiting a particular clinic or hospital to see what other travellers have had to say. For any sort of dental work, I would highly recommend looking into the clinic and foraging the Internet for reviews before committing to a treatment. As we all know, dental work is significantly cheaper in South East Asia and Vietnam is no exception. For emergency services, such as fillings, look at paying between $20-60 per tooth. Root canals may put you $100-400 out of pocket. So, here's the thing - you can find almost anything over the counter at a pharmacy in Vietnam, in most cases, costing a whole lot less than back at home. Unless you get ripped off. Make sure you read the Google reviews before visiting and check the expiry before paying. Coming in slightly less than Bali's average daily cost, our Vietnam daily budget is primarily determined by our desire to experience a 5-star resort, visiting a ton of touristy attractions, and eating 12 times a day. You can drastically reduce your Vietnam budget per day by booking Airbnbs or mid-range hotels. If you have a smidge more self-control than we did, you can probably save a whole lot more as a family. Plan your trip in low season to snap up airfare bargains and accommodation deals. Eat at local restaurants or buy street food for authentic and cheap Vietnamese food. Avoid street food stalls with no signage as they will most likely charge you double the price of locals. Shop at fresh food markets for fruits and vegetables as opposed to supermarkets. Purchase attraction tickets online on sites like Klook where you can save up to 20% on entry tickets. Haggle your pants off because there's always room for a bargain. Pitch half the amount of what the vendor is offering. Stay in guesthouses or apartments - they are the some of the most cost-effective accommodation options in Vietnam. Download the Grab app to get around and avoid having to haggle over cab fares. WATCH: How Cheap is Vietnam for Families? 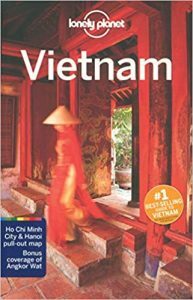 I hope this has helped you with your Vietnam budget and provided a little more insight into how much everything costs. It's definitely possible to spend less than we did, it all depends on what you're willing to forego and how much self-control you have when it comes to food ? If you found this post useful, please share the love below.